3. Pull the suspected fuse straight out. 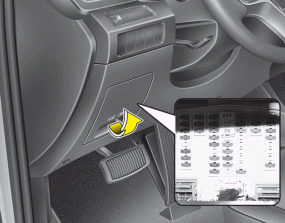 Use the removal tool provided in the engine compartment fuse panel. 5. 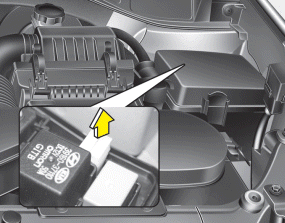 Push in a new fuse of the same rating, and make sure it fits tightly in the clips. If it fits loosely, consult an authorized HYUNDAI dealer.